In March 2016, Clowns Without Borders Canada went to Nicaragua to do clownish activities, improvisation workshops, and created a show with local artists. In 2007, Clowns Without Borders Spain went to Nicaragua and partnered with students from Managua school of circus, to perform 16 shows for 1850 people. In 2006, Clowns Without Borders Spain returned to Nicaragua for their annual project with the school of circus. They gave 12 shows to 1750 while training the students. In 2005, Clowns Without Borders Spain returned to Nicaragua with 4 artists and partnered with Club del Clowns and Managua School of Circus. They performed 10 shows for 1500 people. Clowns Without Borders Spain went to Nicaragua in 2003 with an artistic team made up of the collectives Club del Clowns and Managua School of Circus. 10 shows were performed for 1500 people. Clowns Without Borders Spain returned to Nicaragua in 2002 with the artistic collectives Club del Clowns and Managua School of Circus, and performed 1500 shows for 1500 children. 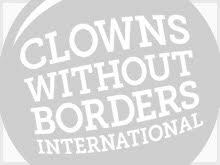 In 2000, Clowns Without Borders Spain returned to Nicaragua to perform and help the children, teenagers, local artists and educators of a disadvantaged zone.